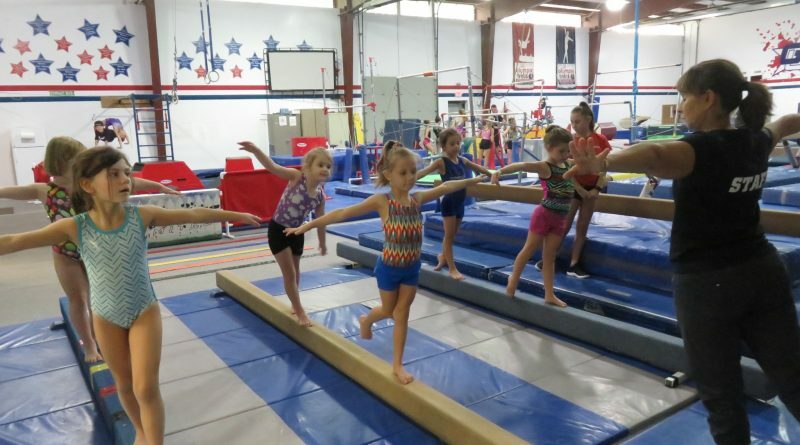 6 reasons gymnastics is right for your child…Whether your goal is advancement in gymnastics or not, it is a terrific launch pad and conditioning format for all other sports. But most importantly the student develops some invaluable life success skills. Thank you so much. We have really enjoyed our time at your program, and would highly recommend it to anyone. This was my son's first involvement with a recreational activity, after many years of being too timid, we watched him really grow. Hello GU ladies. I just wanted to let you know that Violet said to me in the car yesterday, completely unprompted, "gymnastics is my happy place." So while she likes all things sporty and physical, you should know that you have her heart. Incredibly talented and caring coaches and staff - they get results without hard-core pressure coaching that you see at other gyms. My older daughter spends 16 hours a week there, and the coaches treat the kids like they're their own! Very caring staff! My daughter had a hard time with drop off and the staff took the time to ease her into it now she just waves and runs in!!! Sign up to receive newsletters and deals! Copyright © 2019 Gymnastics Unlimited. All rights reserved.